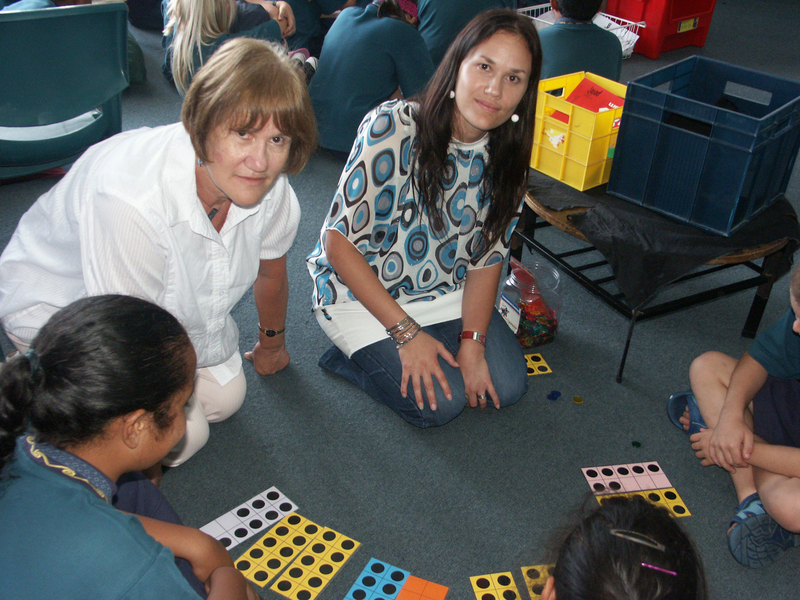 It’s been dubbed “Bobbie maths”, a culturally attuned, internationally recognised approach to teaching maths that’s been making a difference in low decile schools with mostly Māori and Pasifika students. 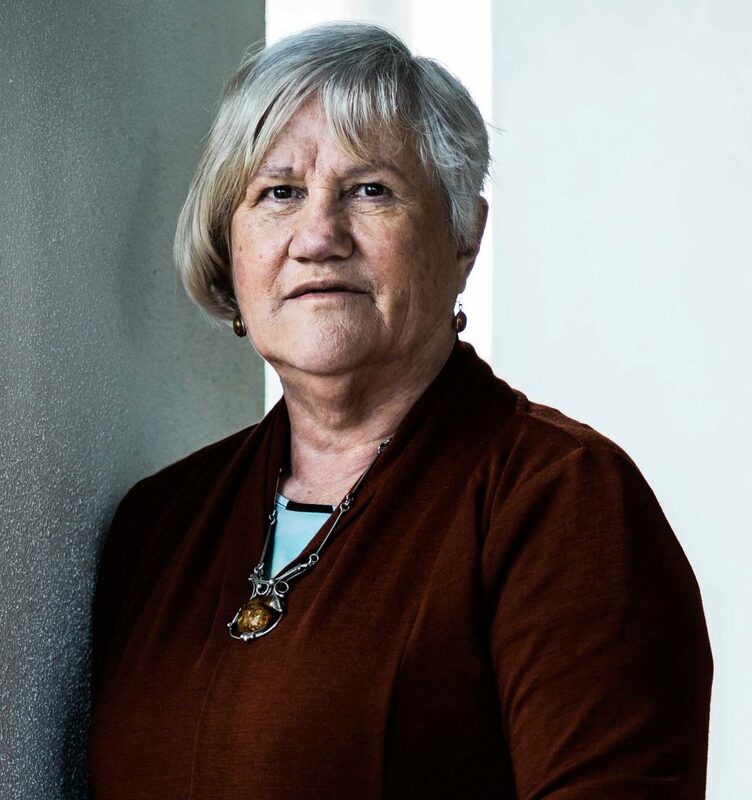 Here, the woman who developed it, Professor Bobbie Hunter, of Massey University, talks to Dale, about maths, culture, and social justice. Kia orana, Bobbie, if I may call you that? Of all the things you’ve done in your interesting life, what achievement do you feel most proud of? Probably the work that we’re doing now — trying to get social justice for the learners who really need it, which is an uphill battle with the current ministry. 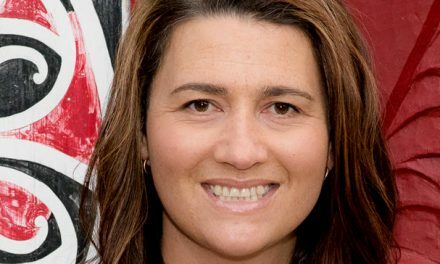 For Māori and Pasifika students, the achievement rate isn’t particularly good. That’s not because of them. That’s because of the system that these kids are having to contend with. Unless we actually get something moving for these kids, we’re going to be stuck with an inequitable society. You’ve got some wonderful Cook Islands connections. Would you be kind enough to tell us a bit about your whānau, where you grew up, where your whakapapa connections take you to. In fact, do you have any other names besides Roberta? Well, I’m usually called Bobbie, and I’ve been Bobbie by choice since I grew up, but some family members still call me Roberta. My middle name is Kathleen, which shows my Irish heritage. I have an Irish father. My mum is Eileen Wood. She was born on Rakahanga, in the northern Cooks. One half of our family come from Manihiki, and we’re a part of the Dean family up there. The other half is the Aporo family from Aitutaki. My father was Fred Cavanagh. That’s a good Irish name from the south of Ireland. But he was born in New Zealand. My mum came to New Zealand as an 18-year-old during the war. What happened was that the New Zealand girls, who had previously worked as domestics in houses, became land girls when the men went off to war. That left a gap, so the government brought a group of Cook Island women over to be housekeepers and things like that. Not many people know that piece of history. I’ve never seen anything written about this group of Pasifika woman brought over to do those jobs. 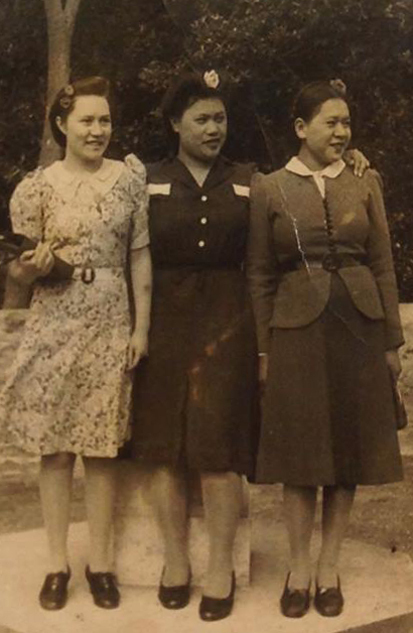 Bobbie’s mum Eileen Wood (left) and friends, newly arrived in Wellington from the Cook Islands, during the Second World War. It’s the first I’ve heard of it, too. Are you aware of this because of what your mum told you? That’s right. One time I said: “You came all this way as an 18-year-old girl during the war?” She said: “We didn’t even think about it. We just came.” Most of them were in Wellington. At night they danced hula to entertain the armed forces. During the day they worked in people’s homes. Thank you for sharing that with us. You grew up predominantly in and around the Waikato and King Country. Can you explain how that came to be? My father was an itinerant farm worker, mostly share-milking. Then he worked on the railways. So I was a transient child. I never spent a full year in any one school. My memories of that time are mostly eating fruit off the trees, getting turnips from the paddocks, walking long distances to school, and wandering off over the hills and into the trees all weekend and after school. To me, school was mostly irrelevant. Yet you’ve achieved great academic success. How do you account for that, given the constant change of school environments? I think that we underestimate the power of good parental example. Although my father was an itinerant worker, he read a lot. That was a model for us. You read. So I was always a good reader from very early on. My mum didn’t actually read, because English was her second language, and reading was a very hard task for her. But she always played with us. 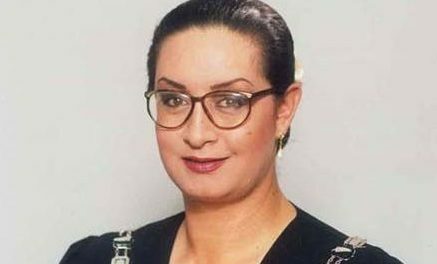 When we were kids, she would be outside with us playing marbles and other games. She could fit into our world without having to be an adult about it. We didn’t actually have a lot of Pacific culture, though, because we were Roman Catholic and the priest disapproved of my mum doing the hula. She had also gone to school in the Cook Islands in different places where they’d been disciplined for speaking Cook Islands Māori. So she was determined that her children were not going to speak Cook Islands Māori. They were going to speak English, because that was the way to get success. Which is a real shame for me, because that was at great cost for us. For all of my childhood, and actually for a lot of my adulthood, people used to say: “Where do you get your maths from?” I always thought it must be from my father. I think that’s that whole white bias stuff that you don’t realise, or the white privilege. I just assumed it was from there. But now that I’m deeply immersed in this work, I know that, actually, my maths came from my Cook Island family and not from the Irish side at all. For instance, right to this day, my mum designs those big tīvaevae quilts. She has that mathematical knowledge. She also comes from a long line of navigators, which is also a very mathematical skill. I have a great-great-grandfather, John William Dean, who was well-known in the Pacific as a navigator. I have photographs from the 1920s that show a schooner he designed, and we have two family homes in Manihiki that have survived hurricanes and everything, because of the way he designed them. My great-grandfather also designed and built the Banana Court in Rarotonga. I have come to realise that maths belongs in every culture. Yet, kids growing up in New Zealand get taught that there’s only one way of doing maths — and that’s a white way. As I see it, my Cook Island family were the real mathematicians. 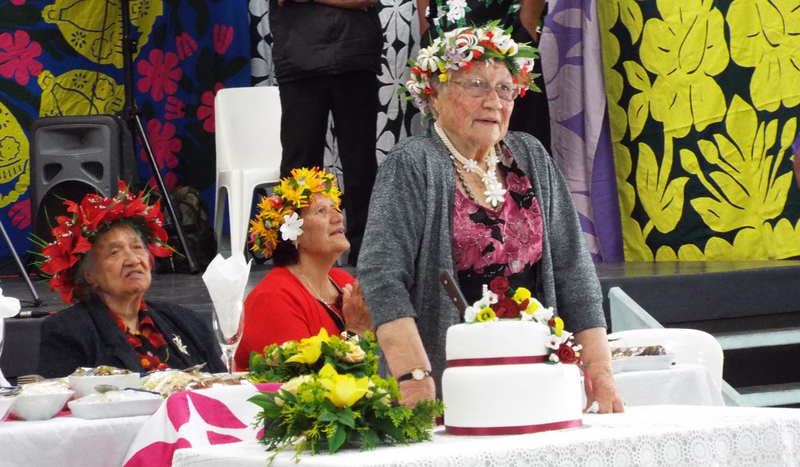 Eileen on her 90th birthday at the Manihiki Hall decorated with her tīvaevae. How sophisticated would you say are the maths concepts incorporated into, say, tapa-cloth making or the making of other materials? It is really sophisticated. I think of tapa and tīvaevae as growing patterns, and growing patterns are very algebraic. But people don’t tend to look at these things and think: “Wow. That’s so mathematical.” They just see it as a piece of artwork. I was recently watching a video of an aunty of mine, Tukua Turia, who was part of a Cook Island group that went to Buckingham Palace with Karen Walker — they were showcasing tīvaevae as part of London Fashion Week in February. I want to talk more about maths because your understanding of it and your championing of this cultural dimension to mathematics is providing wonderful opportunities for others. But before we do, let’s just step through the schooling thing. You mentioned that you went to umpteen schools. Can you give us a bit of a roll call of some of the schools you attended, and then take us into your university studies. You’re a professor now, so obviously you’ve taken it to the nth degree, despite the fact that you once doubted yourself in your academic study. But first, some of those schools? Erua, Raurimu School. National Park. Pōkeno. Some of the sawmilling townships we lived in as well, because my father did some sawmilling — they’re gone completely. 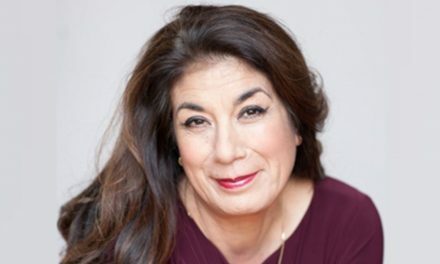 I come from a big working-class family of 10 children, and I’m the fourth child — and once the oldest ones were finishing their schooling, my parents capitalised and moved to Auckland and we lived in Manurewa. So I went to Manurewa High School. And I think the only reason I was able to keep going was because a teacher at that high school said to me: “You should use your brains. Why don’t you become a teacher?” And if that teacher hadn’t gone ahead and filled in the application form, I probably wouldn’t have. You know? It needed somebody else. She was a young teacher and she kept in contact with me for about five years and kept me going, really. That’s what good teachers do. They care enough to follow through. What’s her name? Let’s pay her some mind. Her first name was Faye, but I can’t remember her surname. It was such a long time ago. Let’s talk in some depth about your work. You’ve developed ways of linking mathematical concepts to cultural norms, an approach that resonates and is relevant to a lot of our lower-decile schools. We all grow up thinking we’re useless at maths. I could go around our newsroom and nobody would think they’re any good at maths, myself included. So, when did the lightbulb moment strike you that there could be a different way of communicating maths to Pasifika people? I’ve been working on this for 15 years, starting with when I was teaching. I would always end up with a lot of Māori and Pasifika students in my class because I could actually keep them engaged on what they needed. What it comes down to is this: making sure everybody has an opportunity to participate. Now, I support the fact that our Pasifika kids need to maintain their cultural values — even though they may not fit with those of the dominant culture — because those values are who they are. But if you’re going to be good at maths, there are some other things you need to be able to do to build your skills. You have to be able to explain. You have to be able to ask questions. You have to be able to engage in mathematical argumentation. Those things are really important. One of the things that I’ve learned as a teacher is you have to give voice to these children. So, how can they do that without contradicting their cultural values and beliefs? What you do is you point out that they have multiple voices. You might have the voice you use at church. You might have the voice you use with your parents and your grandparents. But you also have the voice you use when you’re playing a game and competing. Once those children realise that they have many voices, then they can start to learn how each voice fits, so they don’t cut across the varied cultural norms. I know that in the Cook Islands, teachers consider that New Zealand-born Cook Island kids are rude because they ask questions. But, in maths, if you don’t ask questions you aren’t going to understand. Let me give you an example. I used to go into the supermarket with my own two children, who are now adults, and they would be saying: “Can I have that? Can I have a chocolate bar?” And I would say: “No.” And they’d say: “Why not?” “Because I don’t want to spend money on that.” “But you’ve got money.” “No, I haven’t got any money.” “But you’ve got your credit card.” So you’d get this continuous “But what about this?” I would never have done that as a child. Never. Because I knew that we didn’t have money, but also because it crosses a cultural norm. You just do not do that. It’s rude. So we have a problem here, because one group of children grows up in New Zealand with the cultural belief that asking questions or arguing is rude. Another group grows up who use that all the time — and they’re the ones who tend to be successful, because they can do that reasoning and argument. Bobbie with her daughter Jodie, who followed in her mum’s footsteps. The two are part of Massey University’s award-winning research team, Developing Mathematical Learning Communities. Can you describe when you saw your approach working and the satisfaction you got from it? I left the classroom when I finished doing my masters and started a PhD. And I basically took what I knew worked in my own classroom and developed it from there. About the time my PhD work was published, somebody, I can’t remember who, but an academic, said that there was a warrior gene in Māori and Pasifika people and that was the problem, and blah blah blah. And it’s working. Though there’s still a long way to go. Recently, I was in a meeting where somebody asked about what’s going to happen with assessment now National Standards is gone. 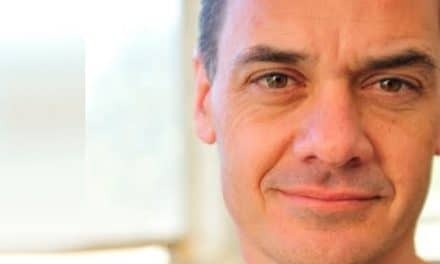 A senior ministry person said: “Well, we’re developing another assessment tool.” So I asked: “Who’s deciding on this assessment tool?” And this ministry person said: “Society is deciding it.” So, I said to him: “Whose society?” And he said: “The New Zealand society.” As if there was only one. For Pasifika people, success doesn’t mean getting the top mark. Actually, that can sometimes not be a good thing. Success means everybody alongside you gets to understand what you understand. So, in mathematics, our kids work in groups. It’s not about you coming up with the knowledge, it’s about everybody coming up with the knowledge. We work on the collective instead of the individual. Pasifika kids understand that. Whereas another group in society wouldn’t understand that at all. How satisfying has it been to see success in some of our poorer schools, using what’s been described as the “Bobbie maths” approach. It’s happened in many schools, I see. The kids hold deficit views about their own cultures in relation to maths. That’s because it’s not connected. No one told them to say this. They looked at the maths of the Ngāi Tahu people and decided it was something to be proud of. 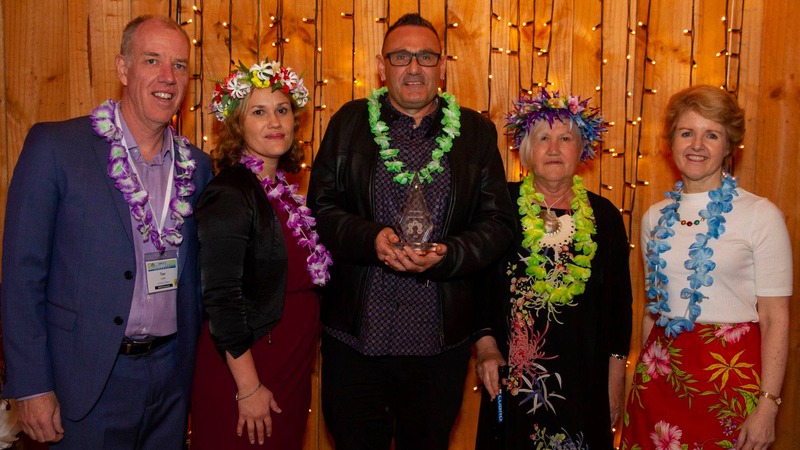 Winning the 2018 research award from Mathematics Education Research Group of Australasia (MERGA) — the first time a New Zealand team has won it. Dr Jodie Hunter (second from left), Trevor Bills, and Bobbie, flanked by Tom Lowrie and Janette Bobis of MERGA. Do you think the style and approach that you’re championing with mathematics has potential applications in other subjects? Absolutely. We know that we’re getting somewhere with teachers when they start to say they don’t just use this in maths, but in everything. New Zealand has a long history of ability grouping. If you ever look at a school where there’s a lot of ability grouping, your bottom group is always composed of Māori and Pasifika. And then, because they’re in the bottom group, the teaching expectation is always much lower. It’s not that teachers don’t have good intentions. They do. It’s just that this is what happens in their heads. We don’t work with any school or any class where there’s ability grouping. We say it’s got to be mixed ability, socially strength-based, and every group has to have the attitude that when we end up with some idea of how to solve something, all of us understands it. It’s not about one person telling us how to do it. It’s about all of us sharing, collectively, what we know. That’s a long, hard journey for teachers to go on. It probably takes three years for teachers to become able to teach in this way, because they’ve got to unlearn a whole lot of stuff. But they do it. They do it brilliantly. It’s stunning what teachers can do. And after six months they’ll say: “I don’t see why I ability-group in reading when I don’t do it in maths.” So, they start applying the principle to everything else. It transfers straight across the curriculum. What goals have you set yourself? What might we see from you in the years ahead? I’d really like to see Māori and Pasifika learners all being taught in ways that sustain them in who they are culturally, as well as developing a good, strong mathematical disposition. I’d like to see our kids level-peaking with every other kid. So, I’d like to see teachers thinking about how their practices cause these children not to be able to participate. Another big one: I’d really like to see the day that education is no longer politically driven, but policy driven. Because, at the moment, as soon as you get a change of government, everything changes again. I’d like education to be immune from political change. We might get somewhere then, in terms of equity. Of late, I’ve become really conscious of social justice and the way that we need to make sure these kids understand how things aren’t equitable. A good one would be to get the kids out in South Auckland to compare the amount of parks and green spaces they have, compared to the North Shore. Because there’s a total discrepancy, and yet there are hundreds more children out there. That’s unjust, and it needs to change. You’re my hero Bobbie! I still remember when you taught me at Mt Eden Normal Primary for 3 years. As one of the few brown kids you really encouraged me and I owe a lot of my current self-belief to you. Its awesome to read about the work you’re doing. Don’t stop. Much love, Atawua.